"Business 3 to a Page Deposit Tickets" product is already in your cart. 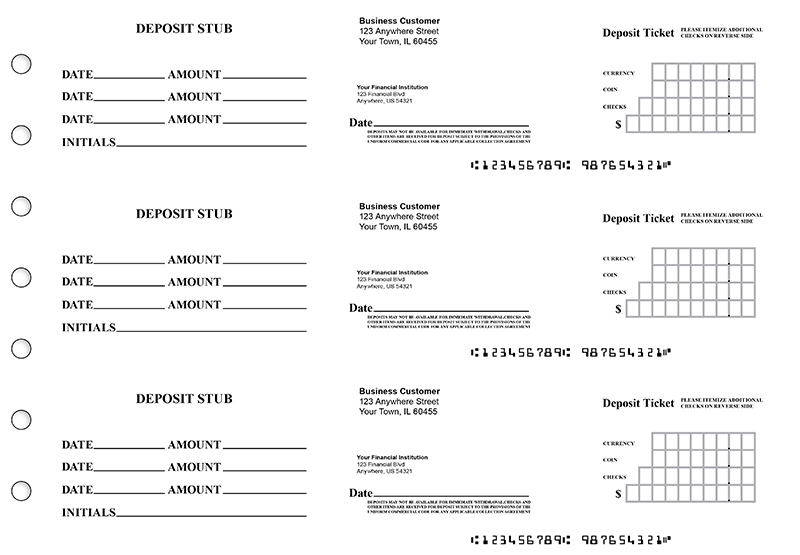 Our Business 3 to a Page Deposit Tickets match our 3 to a page checks. There are areas to record your deposit and a stub to keep for your own records. 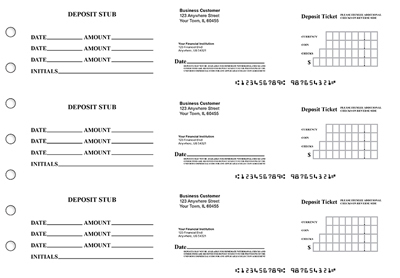 These make depositing funds easy because they are pre-printed with your banking information.